In case you missed it, I just published a new Server Trailer! I only put off this project for 4 years, not bad! 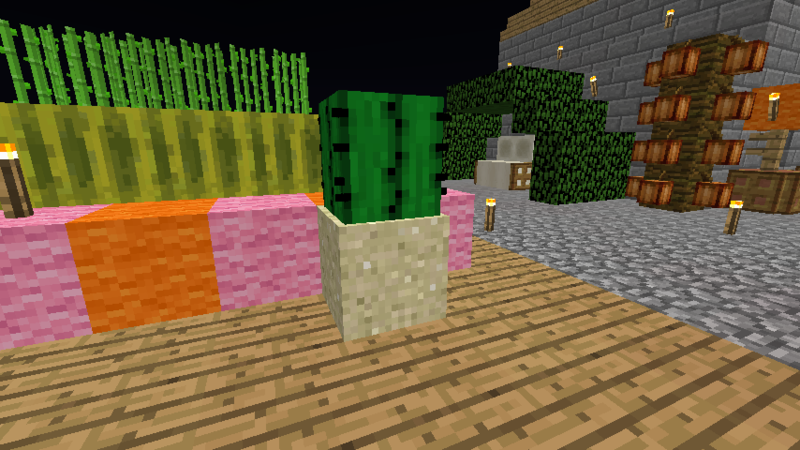 Finally got a cactus on skyblock! Now | just need to fish up more sand! Hi all, TrueIntellectual here. Things have been crazy in my life over the last several months. I’m looking to get back into the server, because it was one of my favorite pastimes. Love the game, love the community. Is there anything I should know before I start playing again in the near future? For or anyone wondering why I am returning, I’m starting to have time for the game again. Also, an irl friend of mine is looking in to starting pc Minecraft so that has motivated me to starting again! He’ll hopefully be starting some time in the near future as well. What you should know is the server was reset for the new update. Aegis has an old backup of the previous server so if you have something big to move that can be done. The new update has made water a whole new world. Hope you enjoy! O Hai! I am a moderator for MCL+ We're a semi-vanilla server with MCMMO and enderpearl surfing. MineCraft Lovers Plus; the best server. Click here to access it. 1. Website address has changed. Now use www.minecraftlovers.com, instead of minecraftlovers.com. It does automatically redirect, but its very slow. 2. 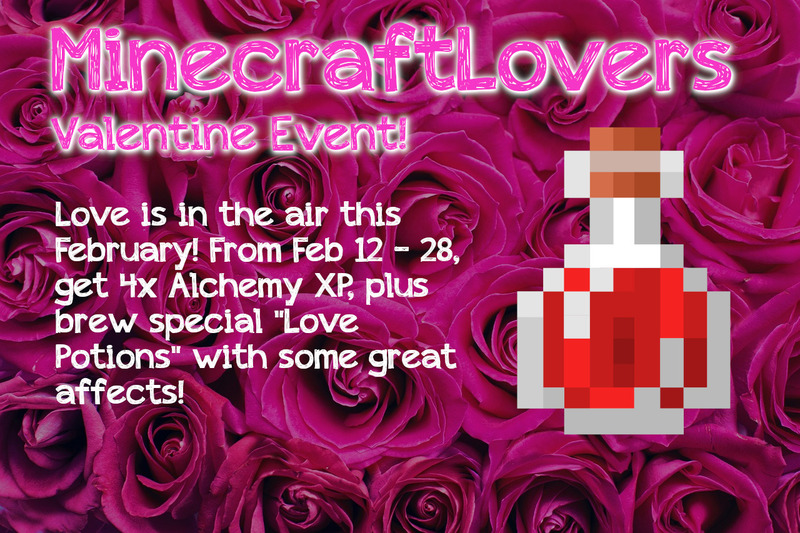 New event for Valentine's Day! Get more info on the website! The server address is changing! Please update your IP to play.minecraftlovers.com. Why we should accept you: Wanted to jump back into the game and to join a whitelisted server due to poor experiences with the no whitelist tag. Hello, sorry about the late reply. Not many people use the forums these days, so I've kinda stopped checking the thread. I've gone ahead and added you to our whitelist, but would you please join the discord server and read the #rules-and-info channel prior to playing? It's not a requirement, but discord has become our main hub of communication. You'll find the majority of community interaction happens there. You are required to have purchased, and own a legitimate account to play Minecraft. Account sharing and piracy are not remotely okay. When you purchase the game, you are welcome to re-apply, but until then there is nothing more I can do for you. I would also like to note that you should never, under any circumstances, share your email on a publicly accessible website. As such, I've removed it from the quote of your post. March Mining Madness! 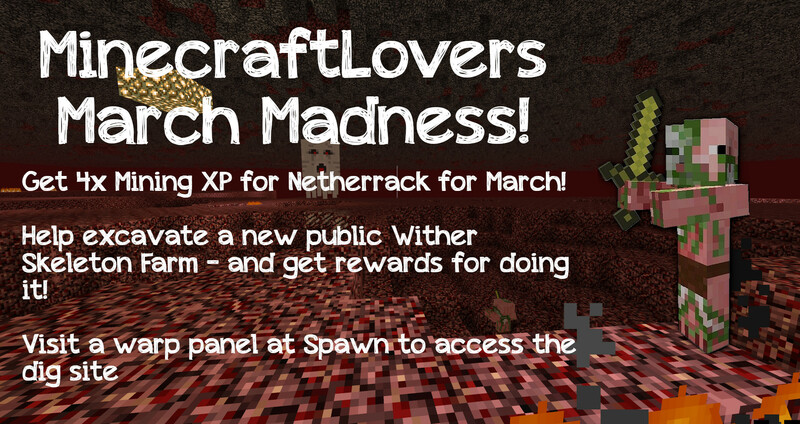 Help us build a wither farm! You should except me because of my knowledge of building and Redstone I could make some cool builds including Redstone and normal building and for my love of Minecraft I would be on as much as I can. Why we should accept you: Because I'm relatively old member. My nickname was Reactioneer and i changed and after a long break i want to come back. Why we should accept you: I don't know. Just give me a try. I'm not going to do bad things such as ruin, grief or stealing others property. All I want is try to peacefully play on the server and experience again that minecraft feel. Why we should accept you: For one i have been playing minecraft since day one, love the game and want to get going on some vanilla servers and im into intense survival and all about following the rules!